Info on our new summer group coming soon!! Click here to get on our wait list for future Groups. Dr. Brené Brown. The method was designed for work with individuals, couples, families, work teams, and organizational leaders. It can be facilitated in clinical, educational, and professional settings. During the process facilitators explore topics such as vulnerability, courage, shame, and worthiness. Participants are invited to examine the thoughts, emotions, and behaviors that are holding them back and identify the new choices and practices that will move them toward more authentic and wholehearted living. The primary focus is on developing shame resilience skills and developing daily practices that transform the way we live, love, parent, and lead. Colleen M. Hanson, LCSW, P.C. 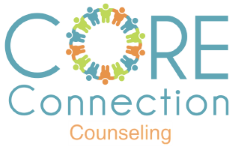 Cognitive Behavioral Therapy, Social Skills Group Therapy, Parenting Skills, and Counseling for Autism & Aspergers. Proudly serving Lisle, Naperville, Downers Grove, and Dupage County, IL.